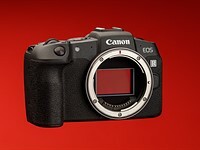 GH3 - Now with lower pricing is it worth it/EVF Quality? Re: GH3 - Now with lower pricing is it worth it/EVF Quality? I have read about this problem and I have heard people complain about it, but in the year I have owned my GH3 I never ever experienced it - with or without glasses, and I use mine everyday. Great the new GH4 has a much larger and even sharper EVF (maybe one of the best out there), but I have zero problems with the current model. It is quite simply a great great camera for both stills and video - either one or both. I agree 100%. The GH3 is the best m4/3 camera I've used and owned. NO problems with the EVF, and I always wear glasses. Ergonomics -- handling and button placement -- are superb. Just get one. I have both GH2s and a GH3. Not as bad as "they" say.